In promotion with his new book The Art & Science of Respect, Rap-A-Lot Records CEO J Prince caught up with TMZ on Thursday, and was asked some questions about the Drake & Pusha T beef. When asked about how Pusha T got the info about Drake’s son, J Prince says Pusha is simply doing “damage control” right now following Drake’s interview with LeBron last week, alluding to him possibly lying about saying he got the info from 40. 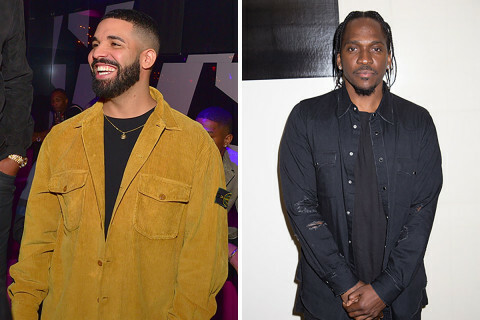 “I could clearly see right now the act of damage control is being displayed by Pusha T because of the interview Drake laid out there. That’s what thats all about. We moved forward,” J Prince added. The Rap-A-Lot Records CEO then proceed to call Pusha T an “ant,” and that he could be “smashed” at anytime if they wanted to.